The public is invited to come to join the LBJ State Park & Historic Site, on Highway 290 East in Stonewall at 6 pm, in this special tradition started 42 years ago by President and Mrs. Johnson. 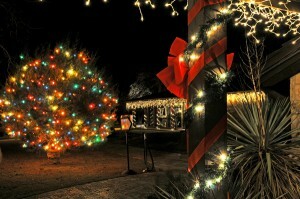 Enjoy carolers, a live nativity, Santa Claus, refreshments and of course, the spectacular tree lighting. Step back in time to the Sauer-Beckmann Living History Farm for cookies amid glowing lanterns and a traditional candlelit German Christmas tree.